So you’ve got a nice garden but your kids don’t want to eat their veggies? What is a parent to do? Two new books by Sarah Lewis of the Juneau District Office of the University of Alaska Fairbanks Cooperative Extension Service can help get your kids eating their veggies. And they’re available for free downloads. Sarah is the Family and Community Development Agent for Southeast Alaska, she travels throughout the region giving cooking and canning classes. She will be back in Sitka in mid-July to test pressure canner gauges and teach several classes yet to be determined. 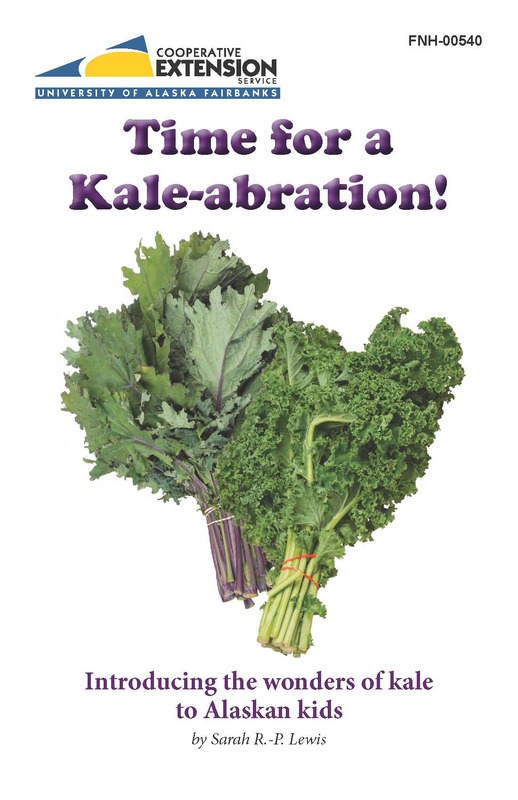 The first book is Time for a Kale-abration! Introducing the wonders of kale to Alaskan kids. The free 12-page booklet is all about a garden plant that grows well in Sitka, but one some people have trouble eating. The book features information about the varieties of kale, nutritional info, and several kid-friendly recipes from main courses to desserts. 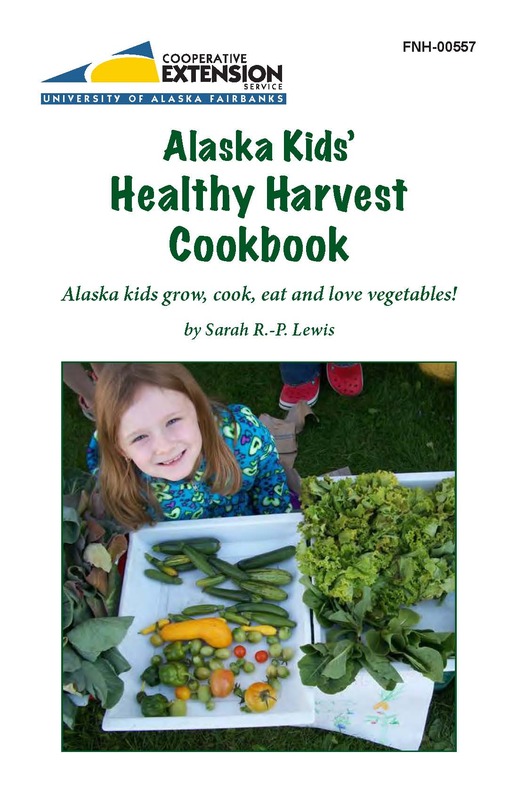 The second book is The Alaska Kids’ Healthy Harvest Cookbook: Alaska kids grow, cook, eat and love vegetables. This free 12-page booklet lists several common vegetables found in Alaska gardens (kale, carrots, peas, zucchini and potatoes) and provides a variety of recipes using these veggies. It also includes recipes for venison stew and salmon chowder (both heavy with Alaska veggies). This entry was posted in education, Food choices, food security, Gardens, Local food in the news, Recipes and tagged Alaska Kids' Healthy Harvest Cookbook, carrots, cookbook, education, encouragement, farmers market, food, food security, garden, kale, kids' activities, peas, potatoes, Recipes, Sarah Lewis, Sitka 4-H clubs, Sitka Conservation Society, Sitka's 4-H Cloverbuds Club, Time for a Kale-abration!, UAF Cooperative Extension Service, vegetables, zucchini. Bookmark the permalink.